RULES AND GUIDELINES- Traci gets many emails from fans requesting about how to get in touch with her and she appreciates them all please be patient with so many that have not received anything for this maybe cause of diferent reasons. We want to help you get more connected to her and by doing this is by supporting the projects and donating in return abling you to get involved more and be part of the TEAM. you can register here to be a member and start this way. GIFTS AND AUTOGRAPHS- Traci offers volunteer opps to help with getting lots of things including ways to support her and the tour. She has received many gifts from dresses, shoes, jewelry and much more which she loves please do this through the association. You can also submit items for goody bags for events and team to get more noticed. PLEASE SEND TWO ENVELOPES PACKAGES WITH ONE BEING SELF ADDRESSED WITH LETTER. donation you made and request for the item to be autographed. YOU CAN USE THIS BANNER JUST RIGHT CLICK AND PUT IN ON YOUR WEBSITE MUST LINK BACK TO THIS PAGE. Traci has long supported staying healthy to fight diseases and also help others with lifestyle issues. 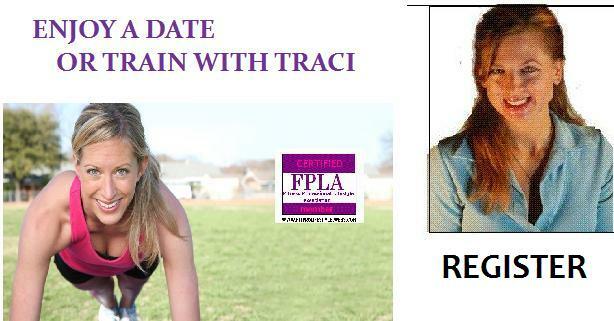 We created a contest to win a date or train with traci. For FITSTYLE. Thanks for your support in helping FitStyle a part of the project to help raise money for FPLA. Tracis GFC team is seeking YOU. With knowing how online social fitstyle networking , mentoring programs and tips helps others be inspired to get back to life from hard times. second gift- (three) come be invited to work out with Traci get tips and special designed program just for you. talk to her and conversate. third gift- Get a piece of Tracis clothing autographed. You can request what you want but can't promoise anything. you can also give this as a gift to someone else ...paypal can arrange this for you. USE ANY OF THE MEANS TO DONATE OFF THIS SITE AND ALSO OTHER LINKS..